Charlotte Motor Speedway named Jonathan Coleman, director of publicity and communications, as its 2018 Employee of the Year. Presented annually, the award recognizes an individual who goes above and beyond the call of duty in executing his or her responsibilities. The winner is determined by a vote of the speedway's executive committee and is selected from Employee of the Month award recipients presented throughout the previous 12 months. "Jonathan's selfless nature, plus his never-ending commitment to the speedway, makes him the perfect Employee of the Year," said Greg Walter, executive vice president and general manager of Charlotte Motor Speedway. "He is an expert publicist who has a reputation for being one of the most thoughtful members of our team who doesn't hesitate to pitch in and contribute his time however he can." Coleman excelled this year in his role as publicist for the legendary motorsports entertainment complex, leading publicity efforts for Charlotte Motor Speedway's annual Pennzoil AutoFairs; executing public relations activities in advance of the 59th Coca-Cola 600 and the inaugural Bank of America ROVAL™ 400 and cultivating greater relationships with national and regional media partners. He also assumed additional supervisory responsibilities for the speedway's social media execution. 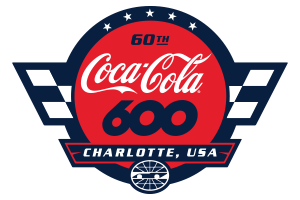 Coleman, a native of Hillsborough, North Carolina, joined Charlotte Motor Speedway's communications department in 2012. A University of North Carolina alumnus, Coleman will receive a trip to Las Vegas for the 2018 Monster Energy NASCAR Cup Series Awards on Nov. 29, among other perks. "It is an honor to be selected as Charlotte Motor Speedway's Employee of the Year during such a banner year for the speedway," Coleman said. "I am blessed to be surrounded by some of the most talented and passionate people in the sports entertainment business, and fortunate to get to play a part in bringing to life the many events that we produce and host each year. I'm looking forward to capping off a great year with a trip to the NASCAR banquet in Las Vegas, then getting back to work to make 2019 even more memorable."